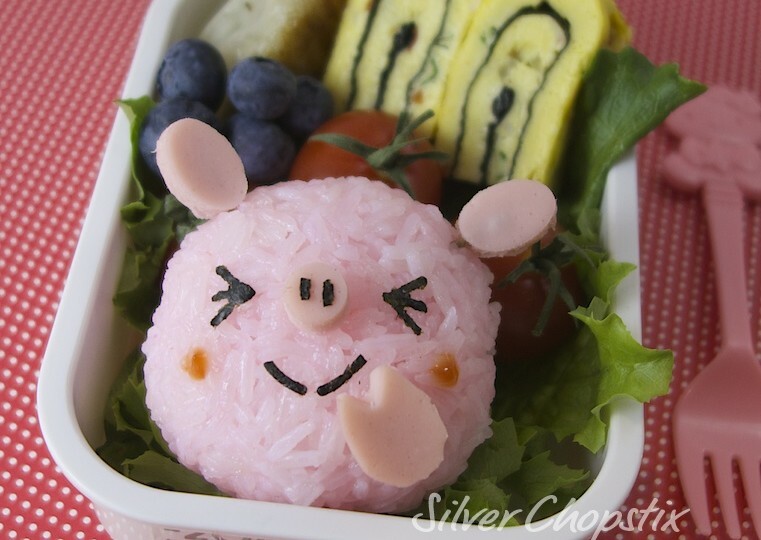 This is not the first time I made a pig kyaraben bento. My first attempt at it was posted here. 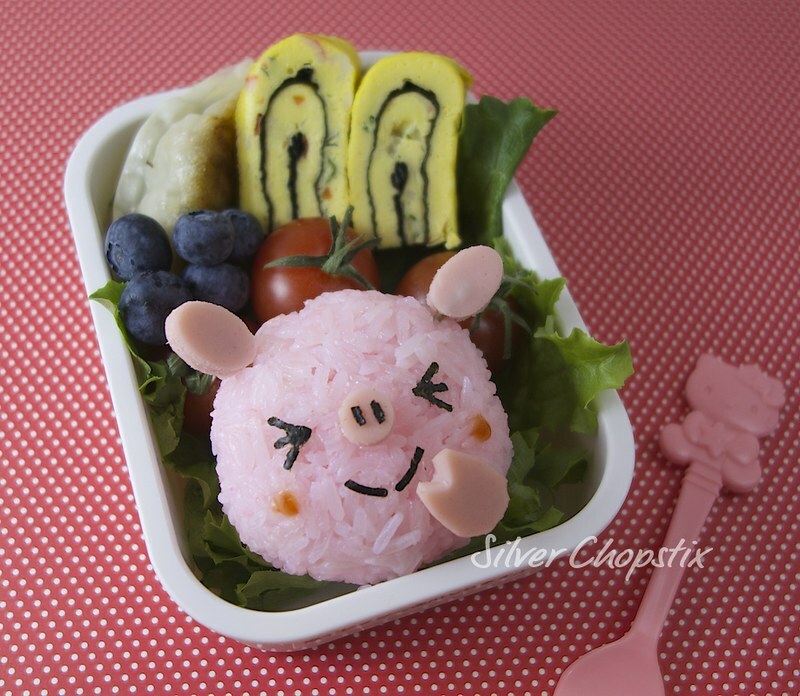 It’s been a while though since I made another kyaraben bento. The last one I remember making was from the previous summer. 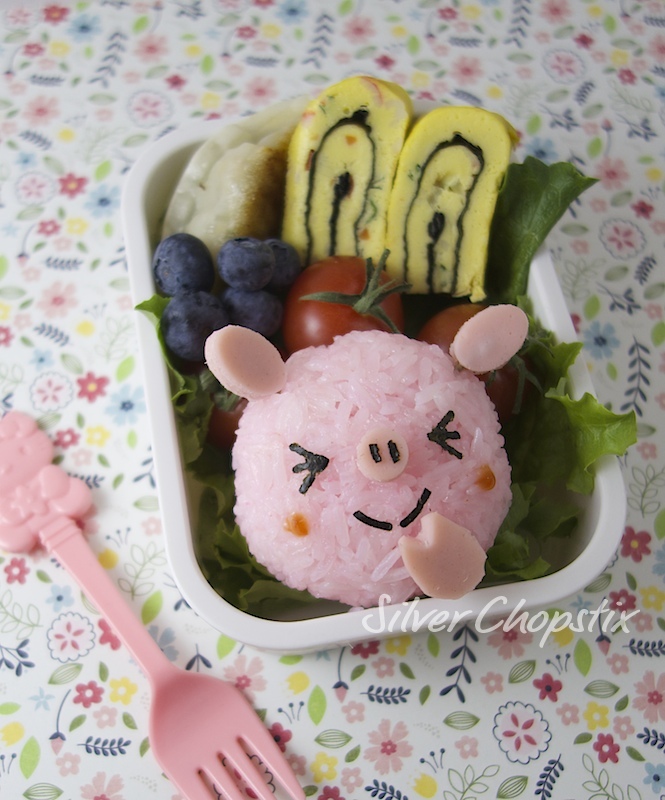 To make the pig onigiri, I again made use of sakura denbu to color my rice pink. 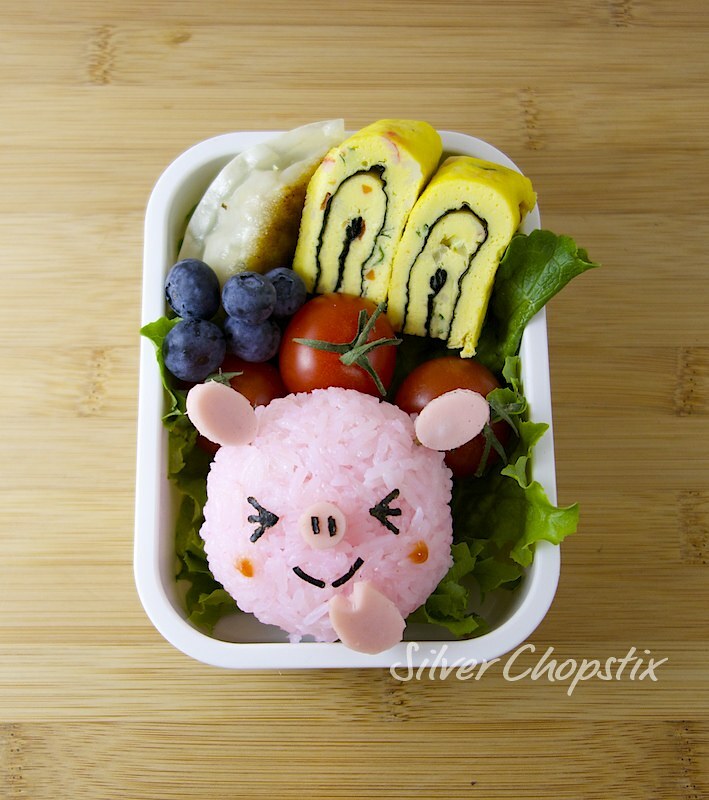 I discussed this in my previous post on “My Melody Bento” and “Elephant Bento“. For the ears, nose and trotters I used sausages and for the eyes and mouth nori cut outs. The side dishes and fillers are korean rolled omelet, dumpling, cherry tomatoes and blueberries.